Ah, comfort food. Sometimes you just need things on those lines. Mr. Ben is a bit lonely for his sister, so he & I opted for some comfort food yesterday. 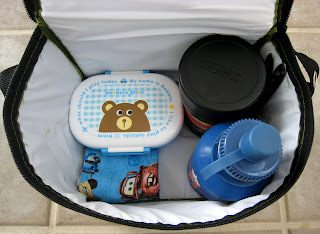 We made one of my favorites, of course, grilled cheese & tomato soup, perfect to take along to taekwondo with us in a bento! It was seriously perfect--homemade tomato soup with parmesan and real grilled cheese with sharp cheddar and muenster on Nature's Own Honey Wheat, no pear today. So lovely! 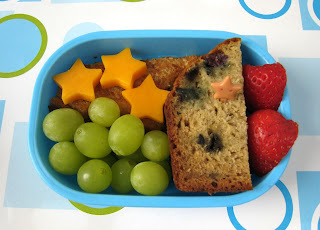 Ben brought along a bento with a star-shaped grilled cheese and a few extra sharp cheddar stars on top. The cutter didn't slice well from the heat, hence why the sandwich is a bit hidden. He had a slice of yesterday's yummy banana blueberry bread, a strawberry and some grapes. 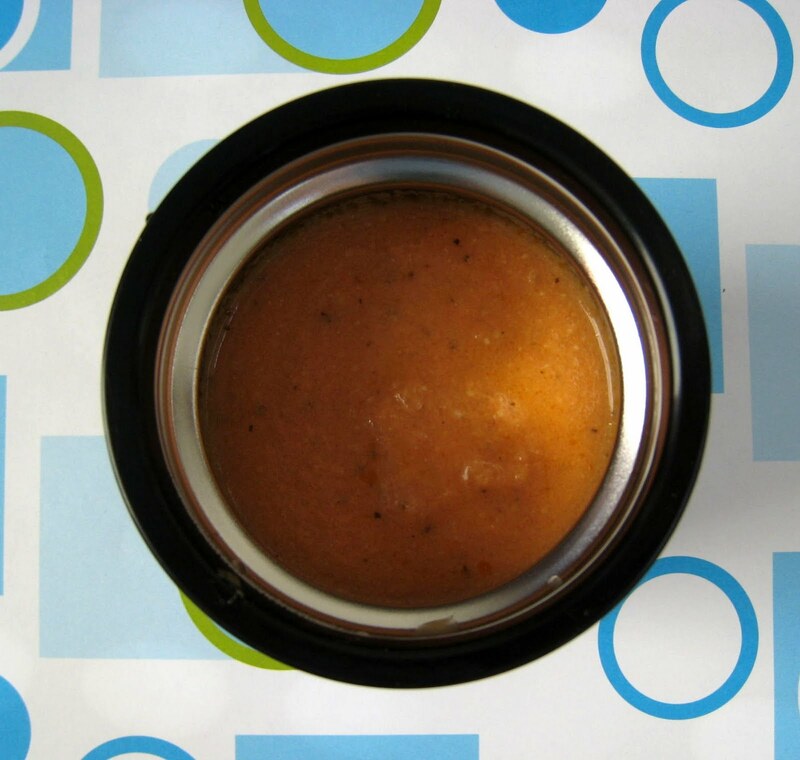 In his Cars thermos, he had the tomato soup. It's thick and creamy and so so good! We packed it all in our Easy Lunchboxes cooler, since we had a box, a thermos, a water bottle, plus napkins & silverware.